50g by AHG, Gluten free, Serves 4. Famous Moghul dish with a rich blend of aromatic herbs, cream or yoghurt and tomato puree. Turns ordinary roast chicken dish into a dish fit for kings! 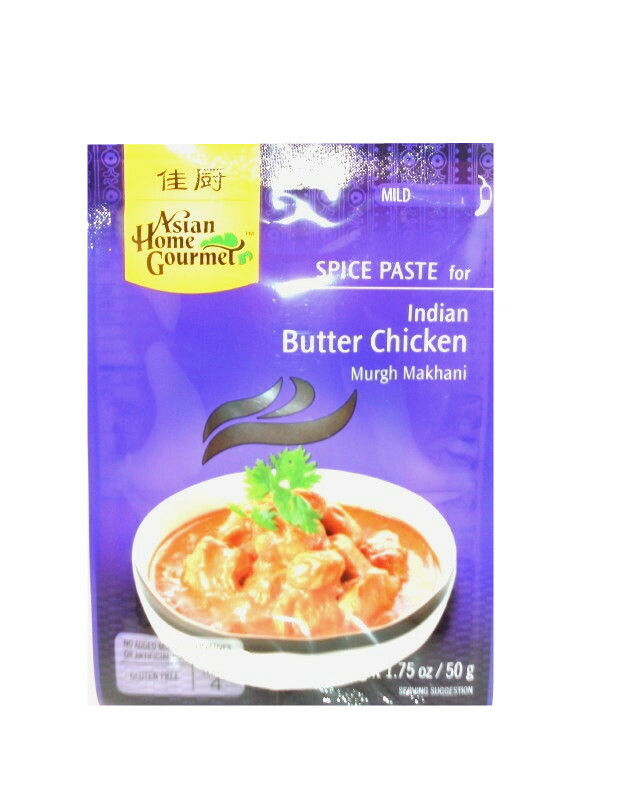 1 pack butter chicken paste. Step 1] heat butter in non-stick saucepan on medium heat, add onion and stir-fry for 3 mins. Step 2] stir in tomato puree, water, cream and spice paste. Step 3] add meat, simmer uncovered on low heat for 20 mins or until it thickens. Garnish with cram or yoghurt. Serve hot. 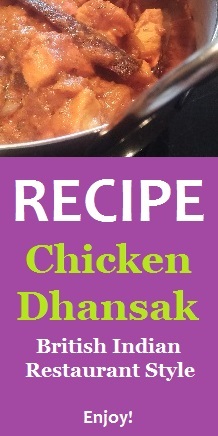 Tip] to make Dhal Makhani use cooked black or yellow lentils and canned kidney beans to replace meat. Ingredients: tomato paste, soybean oil, onion, salt, sugar, ground coriander, red chillies, garlic, distilled vinegar,ginger, herbs and spices, cayenne, pepper, acid regulator citric acid.